I’m a sucker for unique adventure games, and even more so for games that are able to focus on action without relying on weapons. One of the most charming games at PAX East this month, Planet Alpha ApS and Team17’s Planet Alpha, delivers on both of those, and mixes in a beautiful, otherworldly setting that may leave us in a little bit of awe in the process. Built on the foundations of great storytelling platfomers like Another World and Flashback, Planet Alpha drops us into a world full of depth and life, danger and exploration. The game is retro inspired, relying on traits instead of tropes of the early Nineties PC era of platform puzzlers. The game oozes 1950s retro-space, putting us in control of a silent astronaut outfitted in a full body space suit as we crash land on a forbidden planet. The demo’s first stage gives us a peek at the art direction, whose style expands into the level designs; the land is covered in grasses and tentacles and giant mushrooms, and separated across multiple planes of depth from the foreground to the background. More often than not, as we walk or run or scavenge, we can lose track of where we’re situated. Are we behind that bush or in front of the tree? And how far in front? It’s constantly teasing us about which direction we should be going in. That’s where the gameplay becomes a factor. We’re meant to get lost, to keep looking around for the next thing we have to do, or try to do. 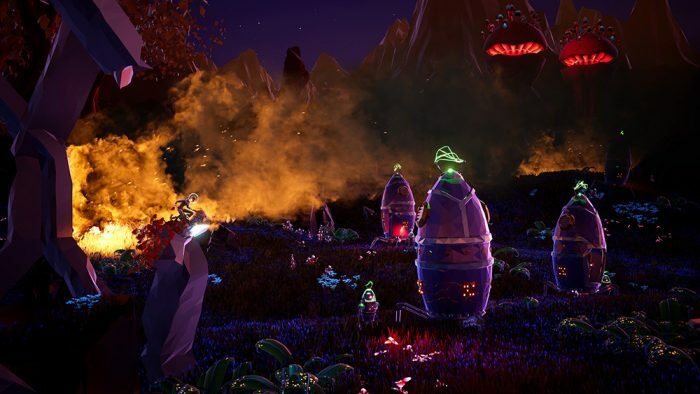 Much like the games that inspired it, Planet Alpha asks us to solve small puzzles and escape from situations. Jumping over ravines to a cliff? Sure. Run past enemies? Yup! There are no weapons here, except for our understanding about how time works. Planet Alpha‘s schtick revolves around time, and how we utilize it. The game’s day/night cycle influences what enemies do, where they’re located, and what the environs let us accomplish. Giant alien wasps will always see us during the day and night, killing us almost instantly when we come close. But because the local grasses love the evening, we can fast forward (or reverse) time to shift to dusk, giving us taller weeds to crouch and walk through. Or, if we come to a seemingly unsurmountable canyon, we can adjust the time to the midnight to let the giant mushrooms grow and create a path. The demo gives us several of these kinds of smaller puzzles, but really stretches us when it presents us with combinations. Fog over a canyon disappears during the day to let us see ahead, but we will need to understand where the edges of the cliffs are so that we can shift the day forward and back to let the mushrooms grow and the floating magnetic boulders bounce around. It controls well, with minimal interfaces beyond an action button, jumping, and the shoulder buttons for the cycle of time. This simplified control style will make it instantly accessible to the majority of players, especially those that may want to just explore and observe. 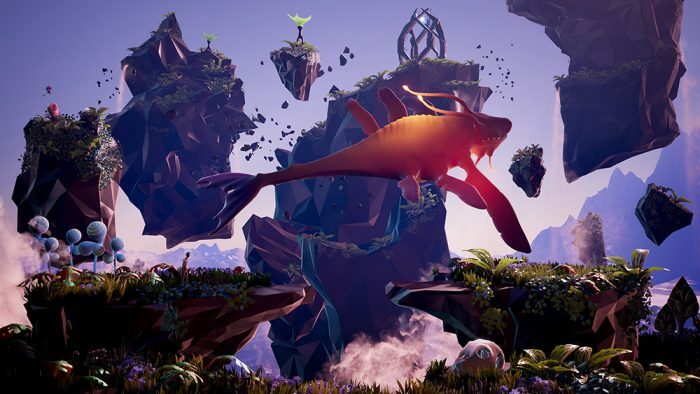 Planet Alpha is steeped in enjoyable situational puzzles and exploration, but it may ultimately be the stunning beauty of the world itself that draws us in during the journey. Look for it soon for XB1, PS4, PC and Switch.